Rival Son's Feral Roots is in 24-Bit Hi-Res on Qobuz! Do any of you miss Led Zeppelin? 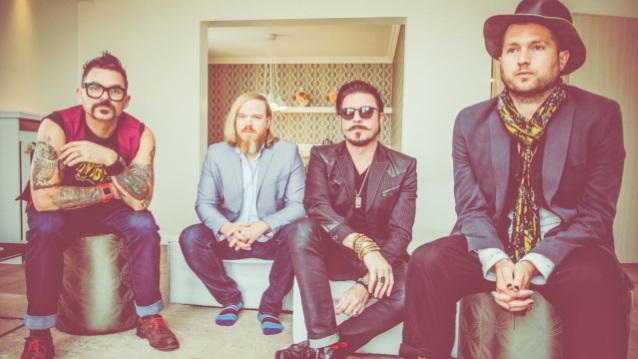 Don’t worry, Rival Sons are here to do more than just fill the void. That said, it’d be too simplistic to reduce the Long Beach gang to clones of Robert Plant and Jimmy Page’s group. Especially as over the past ten years these hairy Californians (who are led by Jay Buchanan) have done more than just dip their blues and heavy rock in molten lava. Rival Sons are here to celebrate eternal rock with a contemporary sound. Produced by Dave Cobb, this sixth album doesn’t try to reinvent the wheel, but instead makes it spin at a thousand miles per hour. Above all, Feral Roots proves that Buchanan is a great singer and Rival Sons are the best ambassadors for their style.